Score FREE delivery for the groceries you order online through Walmart with this promo code! Walmart is offering free grocery delivery for the next few days! Want groceries sent to your door without paying for the delivery? Now you can through the end of January as many times as you want, thanks to Walmart and this promo code! Order and choose a delivery time: Customers can either click here or go through the Walmart Grocery mobile app, enter their zip codes and begin creating their shopping lists. During checkout, they select a time for the order to be delivered. The promo code to get free delivery is: HOMEFREE. Personal grocery shoppers fill the basket: Highly trained personal shoppers carefully select the freshest produce, meats and other items each customer requests. All Walmart grocery orders are backed by Walmart's freshness guarantee. 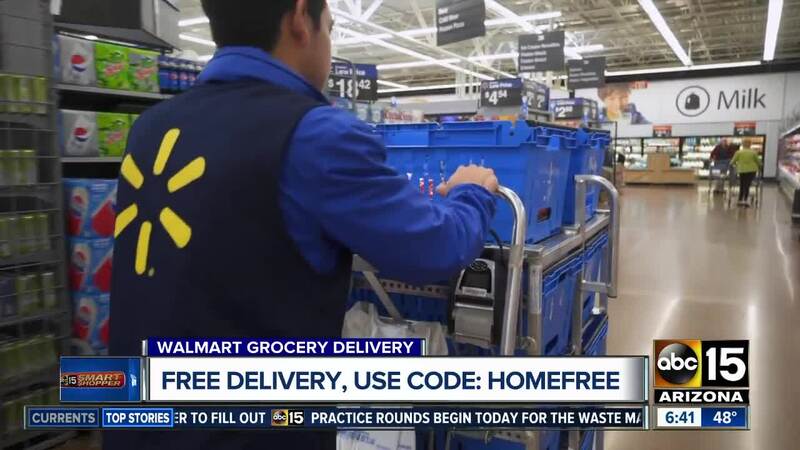 Delivery: Delivery partners will be requested by a Walmart grocery associate when the order is ready to be delivered and will then drive directly to the customer's location during the one-hour delivery window they chose. To get the free delivery, customers need to enter the promo code: HOMEFREE at checkout, with a minimum order of $50. Get this, through January 31, Walmart will waive the $7.95/$9.95 delivery fee every single time you place an order with that promo code. Every. Single. Time!